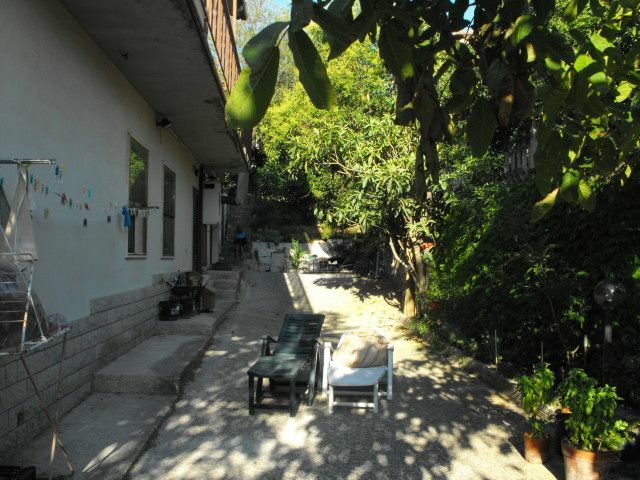 SINGLE HOUSE in fair condition comprising 3 independent apartments COURT EXCLUSIVE MQ 1000. PART IN BUILDING GROUND FLOOR 120 SQ. INPUT, a kitchenette, dining room, three bedrooms and bathroom MQ.51 GARAGE AND CENTRAL HEATING FIRST FLOOR 120 MQ.INGRESSO, kitchenette, dining room, 3 bedrooms, 2 bathrooms, balcony and terrace 90 sqm. Attic floor 90 sqm. (With usability) ENTRANCE, KITCHEN AB., 3 bedrooms, bathroom, storage compartment, Ceiling, balcony 3.6 sqm. And TERRACE 30 sqm.